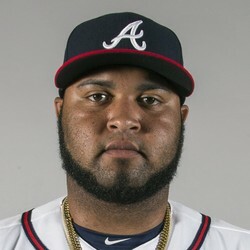 Luiz Gohara, 22 years old, is determined to make a positive statement in 2019 after a perfect storm of personal hardships and injuries derailed a promising 2018 campaign. He reported to camp 35-40 pounds lighter and with renewed focus determined to overcome the death of his father along with his mom's heart ailment to prove what others believe about his potential. The promising lefty has been compared to a young CC Sabathia and indeed has sleeper appeal. Obviously, he hopes to crack the rotation and he has the gifts to do that but he might also see some relief duties. Certainly worth keeping a close eye on.